Boards of Trustees | Investment Solutions | Centurion Asset Management Inc.
At Centurion, strong corporate governance is the cornerstone of our business and the key to our success. The Trustees oversee the management of the business and affairs of the three funds in accordance with the Declaration of the Trust and applicable law. A Board Mandate has been adopted to help ensure the necessary framework to review and evaluate Centurion’s business operations; to make decisions and arrive at conclusions that are independent of management; and to align the interests of Trustees and Management with those of the Trust's Unitholders. 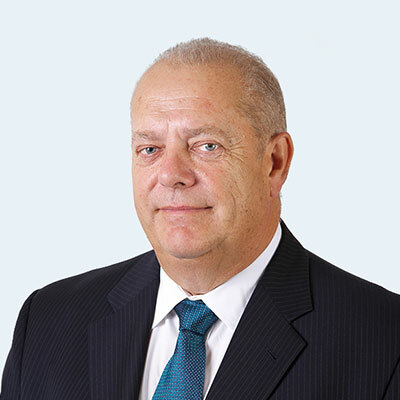 Mr. Gregory G. Romundt is the founder and President of the Asset Manager, the Property Manager, the Mortgage Manager, the Mortgage Servicer, Centurion Apartment REIT, Centurion Real Estate Opportunities Trust, and Centurion Financial Trust. He has been engaged in investment in residential real estate since 1997 and investments and financial markets since 1991. He has real estate investment experience in Singapore, Britain, Australia, China and Canada. From 1991 to 1997, he worked for Citibank in Toronto, New York and Singapore as a financial derivatives trader in interest rate derivatives, major and emerging currencies and exotic derivatives. From 1997 to 2001, he worked for AIG International Group in Hong Kong, Britain and Singapore as head of emerging market derivatives and then as Senior Vice President and Partner (Emerging Markets). He was the group risk manager, overseeing all of the firm’s positions in emerging markets. He graduated from the Richard Ivey School of Business at the University of Western Ontario with an HBA in 1991. Mr. Romundt was nominated for and was a finalist in the Ernst & Young 2014 Entrepreneur of the Year award. He was named CEO of the Year in 2015 by Canadian Apartment Magazine. He has previously served on the board of NEMA (National Exempt Market Association) and PCMA (Private Capital Markets Association). 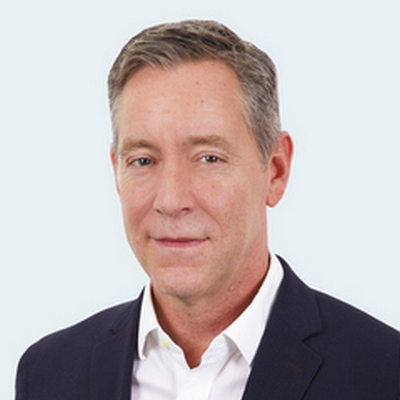 Mr. Robert Orr has over 25 years of experience within the financial services sector. Mr. Orr has held senior finance positions in a number of companies ranging from a private investment firm, a large multi-national financial institution and a global accounting firm. Prior to joining Centurion, he was the Chief Financial Officer and Chief Compliance Officer of Sevenoaks Capital Inc., an alternative investment manager, regulated by the Ontario Securities Commission, catering to high net worth individuals both in Canada and internationally. Previously, Mr. Orr was the Chief Financial Officer of UBS Bank (Canada), the wealth management division of the Swiss-based bank. 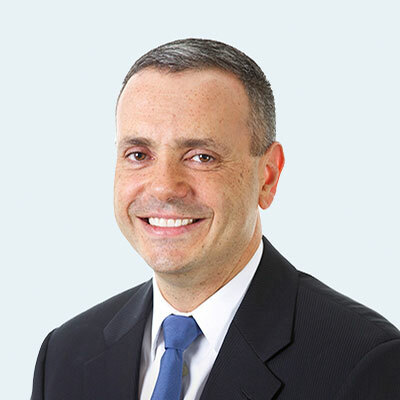 Mr. Orr has also held positions at KPMG as a Senior Manager in their Risk and Advisory Practice with a focus on financial services and CIBC World Markets as an Executive Director, Finance. Mr. Orr is a Chartered Accountant registered with the Institute of Chartered Accountants of Ontario and holds a Bachelor of Commerce from the University of British Columbia. Since 2000, Mr. Ross Amos has been President of Everest Canadian Properties Company, a subsidiary of a California based real estate investment bank. In addition, since 2002 he has been an independent Director/Trustee of Contrans Group Inc. (formerly Contrans Income Fund) and a member of its audit committee, compensation committee and the nominating and governance committee. From 2006 to 2010 he was an independent Trustee of Drive Products Income Fund where he chaired the compensation, nominating and governance committee and is a member of the audit committee. Both companies are listed on the Toronto Stock Exchange. He has also served as a Director on a number of privately owned companies, both in Canada and the United States. From 1996 to 2000 Mr. Amos was President of the general partner company for 65 hotel limited partnerships, reporting to the Advisory Board of Limited Partners who had previously invested in Journey’s End Hotels. Mr. Amos received an honors degree in Business Administration from the Ivey School of Business at the University of Western Ontario, a Master of Business Administration from York University and is one of the first recipients of the ICD.D designation from the Rotman School of Business and the Institute of Corporate Directors- Corporate Governance College. 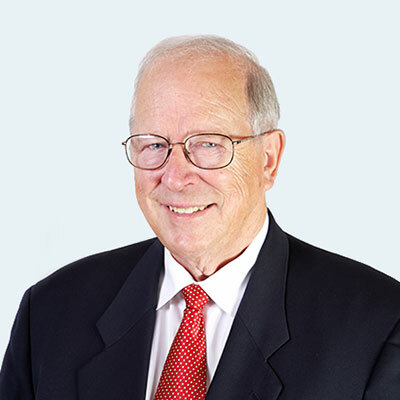 Mr. John Mills is the president of the Mills Group Inc. which he founded in 1978 to manage Burger King franchises, real estate and a consulting practice specializing in strategic planning. Mr. Mills holds an MBA from Richard Ivey and is certified member of the Institute of Corporate Directors (ICD.D). Mr. Mills has been a director of a number of private and public corporations including the advisory board for Burger King Corporation (N.A) (2005-2010), Park Lawn Company Limited, Centurion Apartment REIT and is chairman of Lone Star Group Inc.
Mr. Martin Bernholtz, BBA, CA became a Chartered Accountant in 1983 and has held the position of Chief Financial Officer of Kerbel Group Inc. an integrated real estate developer and property owner since 1988. He has served as a Director and Officer of public, private, not for profit and condominium corporations over the last 25 years. Mr. Bernholtz previously spent six years with Laventhol & Horwath in the Litigation Support and Business Valuation areas. Mr. Bernholtz graduated with a Bachelor of Business Administration degree from York University in 1981. Mr. Stewart has over 25 years of experience in various roles in the financial services and investment industries. Most recently Mr. Stewart spent 5 years as the Chief Financial Officer of ING Bank of Canada (ING Direct), where he oversaw all aspects of finance, accounting and risk management as well as chairing the bank’s credit committee, several management committees and serving as a director of two regulated mutual fund subsidiaries. Prior to his appointment as CFO, he served as Chief Lending Officer where he oversaw the company’s commercial and retail lending departments and a mortgage book of over $20 billion. 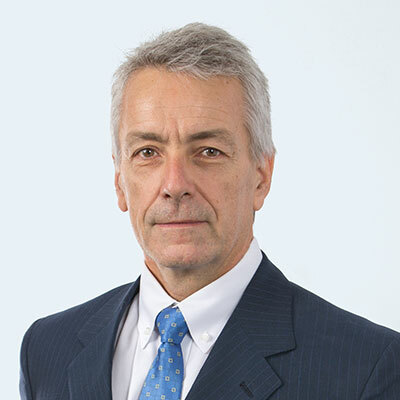 Before joining ING, Mr. Stewart was with Hudson Advisors, a private equity firm specializing in real estate debt investments and structured finance, and previously held a variety of progressive lending roles including real estate and construction financing roles with National Bank and North American Trust. He began his career with PWC. Mr. Stewart was a Director and Chair of the Audit Committee of Plan International. Mr. Stewart is a Chartered Accountant with a double major in management and economics from the University of Guelph. Mr. Miller is the CEO of Raven Consulting. He brings a wealth of experience to the Board of Trustees after spending 33 years in the banking industry. Mr. Miller’s experience includes 15 years as the General Manager in the Special Loans division at CIBC where his focus was on difficult to recover loans in excess of $5M. Assuming the responsibility in 1993, he managed the Real Estate portfolio within the special loans division with financing in the single family, industrial, condos, and commercial markets in Canada, USA and Europe. After leaving CIBC Mr. Miller joined Longroad Asset Management, LLC, a private equity firm in New York City and then First Caribbean Bank. His experiences also include guiding operational and financial restructuring plans, the negotiation of the sale of debt, chairing lender syndicate steering committees and acting as a representative for lending files on numerous credit and steering committees. He has 25 years of experience in financial analysis with 10 years of experience lending to the Ontario Construction industry. 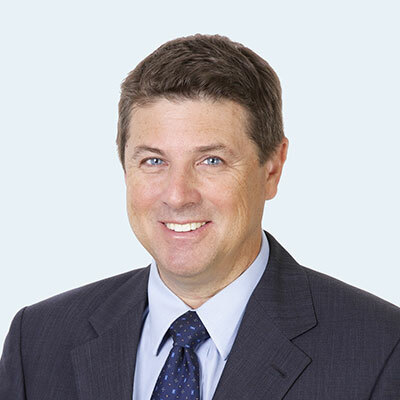 Mr. Miller received numerous awards during his tenure at CIBC and was an honoured guest speaker at several insolvency symposiums with his subject focus being on real estate construction, financing analysis and recovery techniques. He received his Bachelor of Arts from York University and received his Fellowship of the Institute of Canadian Bankers from the University of Toronto. Mr. Dillingham is an experienced investment professional with a strong background in Real Estate investing. He has held respected positions in both Montreal and Toronto. He began his career at Sun Life rising to become the Director of public bonds and money market for Canada. Mr. Dillingham then pursued an opportunity with Consolidated Bathurst Inc. as the Director, Corporate In-House Pension Plan. This is where he became active in direct real estate investments. 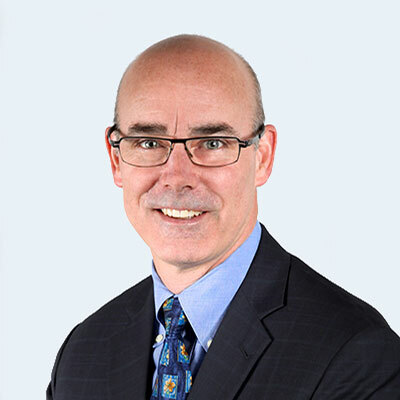 Mr. Dillingham left Montreal to become the Senior Vice President at HOOPP (Hospitals of Ontario Pension Plan). For 4-years he was responsible for fixed income, real estate, mortgages, international and private investments. He became known as a subject matter expert in real estate investment activities. Mr. Dillingham joined the team at Morguard Financial as the Vice President Portfolio Manager in 1997. For 15-years he managed real estate investments for pension funds, notably for the CIBC Canadian Real Estate fund which he managed from its inception until December 2012. He managed client real estate portfolios plus Morguard Corp.’s balanced pension plan. Mr. Dillingham won a Top Gun Award in 2009 and in each of his final 3 years at Morguard, his client real estate fund was awarded the LIPPER award for risk related returns. He is currently involved in investment/real estate including work with a private family estate, a Rotary investment committee and others. Additionally, some past board involvements include a hospital foundation, a private, and a public school. Mr. Dillingham received his MBA from Western University (now Richard Ivey School of Business). Mr. Smith has over 30 years of experience in the housing and real estate industries, and since 1989 he has been President and Co-owner of Andrin Limited a.k.a. Andrin Homes), a large developer / builder of housing in Canada. He has held many respected positions in organizations like the Regional Municipality of Peel (Senior Planner, Director of Housing), Peel Non-Profit Housing Corporation (Commissioner of Housing and General Manager) and Teaching Master and Coordinator of Community Studies at Humber College of Applied Arts and Technology in Toronto. 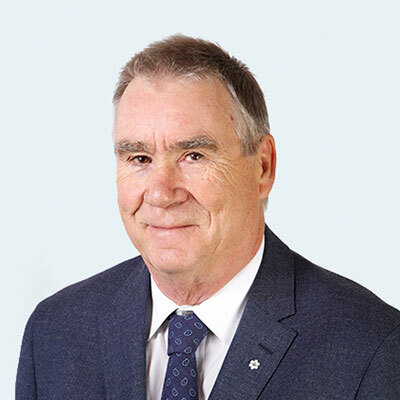 Mr. Smith has served in various capacities on many boards and committees: TARION (Ontario New Home Warranty Corporation), Canadian Housing and Renewal Association, Peel Regional Housing Authority, and the Ontario Home Builders’ Association to name just a few. More notably, Mr. Smith was appointed Chairman of the Board of Directors, for the Canada Mortgage and Housing Corporation (CMHC) September 6, 1995 and re-appointed September 6, 2002 until September 6, 2003. As Chairman of the Board of CMHC he led the Corporation’s commitment to good Corporate Governance. He has spoken at, and chaired, a number of conferences and events including; Canadian Centre for Management Development, the Conference Board of Canada and the Federal Treasury Board to name a few. Mr. Smith is a member of the Greater Toronto Home Builders’ Association (BILD) and the Canadian Home Builders’ Association. He has been honoured many times receiving awards and recognition, including the prestigious Order of Canada in November 2000. He earned his Master’s Degree in Political Science (Public Policy) from the State University of New York, and an Honours B.A. History and Political Science, Dean’s Honour List, McMaster University. Mr. Boyce’s investment and financing experience spans over 35 years and encompasses the management of equity and debt financing portfolios. Most recently, Mr. Boyce was the President of Evergreen Capital Group, a consulting firm involved in providing corporate finance, business transition, as well as expansion- and succession-related advisory services to mid-market clientele. Prior to forming Evergreen, he managed the private equity portfolio of Trimel Investments Inc., with the portfolio comprising investee companies in a number of diverse sectors throughout North America. Before Trimel, Mr. Boyce held a variety of lending roles in The Bank of Nova Scotia (Scotiabank), where he managed a senior lending portfolio, which included leading and arranging a variety of specialized and syndicated financing. Over the years, Mr. boyce has acquired expertise in a variety of sectors, including consumer products, specialty pharmaceuticals, manufacturing and distribution, transportation and logistics, and professional sports. He received his Honours Bachelor of Arts in Commerce and Economics from the University of Toronto, Ontario, Canada in 1981. Mr. LeClair is an experienced director and strategic advisor with an extensive background in corporate finance, mergers and acquisitions and private equity. 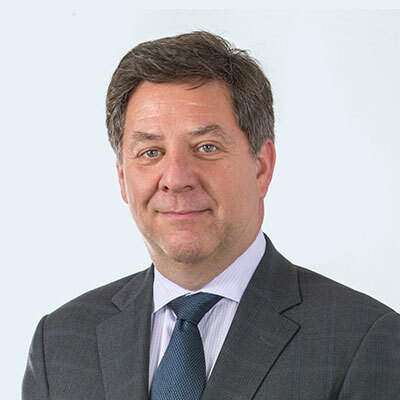 Prior to joining the Board of Trustees of Centurion Financial Trust, Mr. LeClair acted as Managing Director of Integrated Asset Management – Private Debt Group (2002-2015), an institutional debt fund specializing in providing financing solutions for mid- market Canadian companies including small to medium-sized energy projects in North America. He is currently Chair of the Board for a privately held group of health care centers in the United States and is a strategic advisor to a fast growing, specialty engineering company based in Toronto. Throughout his career, he has served in various executive capacities including President of Westpark Healthcare Foundation, a Toronto based hospital foundation, Vice President, Corporate Development at Chubb Security (1998-2001), a global security company and as a strategic advisor and Director for a number of Canadian and U.S. private companies. Mr. LeClair is a Certified Corporate Director with a degree from the Rotman School of Management at the University of Toronto and holds a Bachelor of Science degree from the University of Western Ontario. Ms. Parr has significant experience in venture and private equity investing and fund raising and corporate finance working for Canadian Medical Discoveries Fund, Canada Pension Plan (CPP), TD Capital, Ontario Municipal Employees Retirement System (OMERS), Canadian Corporate Funding Ltd, Trivest Insurance Network (a Trilon company) and Continental Illinois Bank. Of her twelve years making direct private equity, venture capital, and private debt investments at OMERS, she headed the private equity and venture group for four years. She has served on 30 boards of private companies on behalf of institutional investors. As President of Crimson Capital, she has worked with a number of technology and growth companies to build their businesses and has been involved in numerous equity capital raises and secured over $8M in government grants/loans. She has prior operational experience as part of the early team, and as an active current Director, of CellAegis Devices which has developed a patented medical device for reducing the impact of heart attacks and stroke using technology licensed from the Hospital for Sick Children. Donna was an Entrepreneur in Residence at the HalTech Regional Innovation Centre. She holds an MBA from York University and Masters and Honours degrees from the University of Toronto in International Relations. 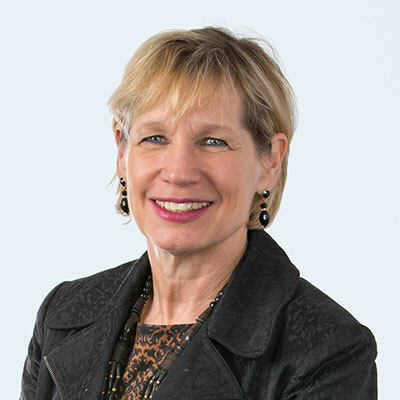 Donna was a Board Director of the Heart and Stroke Foundation of Ontario from 2006-2012 and a founder of Canadian Women in Private Equity and AceTech Ontario. Mr. McBride has been active in the North American investing community for 30 years. He is President of LarchHill Capital Inc., a private investing and consulting firm, and a Co-Founder of FundThrough Inc., a provider of working capital to small and mid-sized companies. Until 2010, he was a Managing Partner of VG Partners, joining to lead the growth and management of the VG MezzGrowth Group (mezzanine fund), with capital under management of $300 million. His entire career has been spent in the Canadian mid-market, investing in, and advising entrepreneurs and their businesses. Prior to VG, Mr. McBride was a Managing Director of Royal Bank Capital Partners’ Mezzanine Fund, establishing the firm as a presence in the mezzanine market. 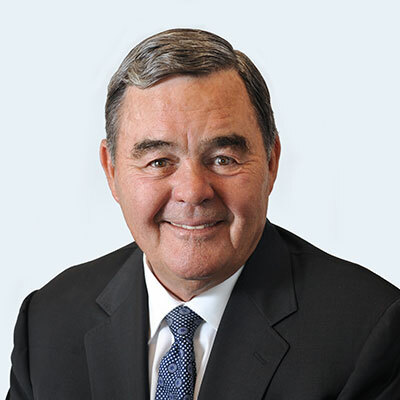 From 1996 to 2000, Mr. McBride was a Principal in the start-up of McKenna Gale Capital, focusing on mezzanine investments of $7 to $15 million in a diverse mix of mid-market companies. Graham was a primary transaction generator McKenna Gale, with responsibility for ongoing deal management and execution. 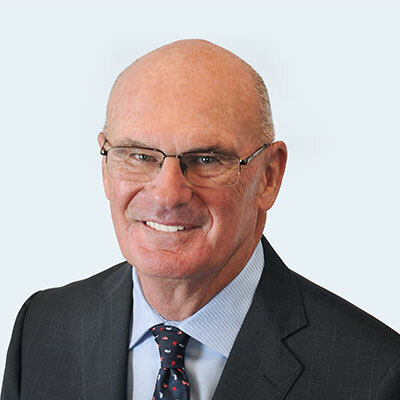 From 1992 to 1996, Mr. McBride was a Vice President of Penfund Management Ltd., initially managing their troubled senior debt portfolio and subsequently joining Penfund’s equity investment team. 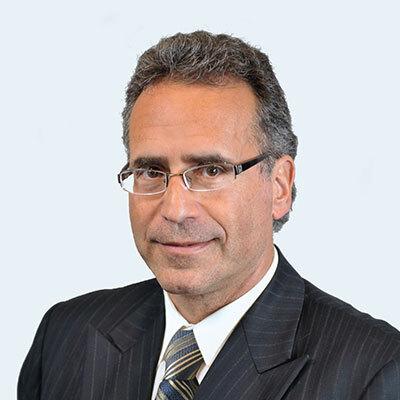 From 1989 to 1992, he worked with the Central Capital Group of Companies, structuring investments of senior debt, subordinated debt and equity on their behalf, after beginning his career in the Commercial Lending Division of the TD Bank. Mr. McBride has been a director of numerous companies and continues to be an active director of several businesses, including Donaldson & James Ltd. and AME Learning Inc., and is on the Board of Advisors of triOS Colleges Inc. He also works closely with several charities and non-profits, including sitting on the Investment Committee of the Toronto Atmospheric Fund. Mr. McBride has a Bachelor of Commerce (Honours) degree from Queen’s University. Fill out the form below or call 1-888-737-7348.